The Paris Tasting served notice to the world that the California wine industry was on the move, and it laid the groundwork for the creation of Grgich Hills Cellar. After his victory in Paris, Mike sat down with Austin Hills and his sister, Mary Lee Strebl, from the Hills Bros. Coffee family, and on Independence Day 1977, they gave birth to Grgich Hills. It was an ideal partnership. Austin owned premium vineyards in Rutherford, in the heart of the Napa Valley, and with his extensive background in business, he put the winery on its financial feet. Mike, with his fierce commitment to making wines of the highest quality, began producing what immediately became our signature wine: the exquisite, richly complex Chardonnays that win awards and delight wine lovers across America and throughout the world. Today, we remain committed to making distinctive wines with quality, consistency and longevity. We are proud that world leaders such as Presidents Reagan and Clinton, Queen Elizabeth II and French President François Mitterrand chose our wines to serve at state dinners, but we are just as proud that every single day discriminating wine drinkers count on Grgich Hills to turn their own dinners into special occasions. We treat each of our six different wines as a special child, carefully nurturing their development and character. Our pride and joy is our Chardonnay, an elegant example of the varietal displaying rich flavors and exquisite balance. As a complement to the Chardonnay, we also produce a refreshingly crisp Fumé Blanc, a rich and spicy Zinfandel, a Cabernet Sauvignon with tremendous depth and complexity, a lush and richly fragrant Merlot, and a luscious dessert wine named “Violetta,” in honor of Mike’s daughter, Violet. 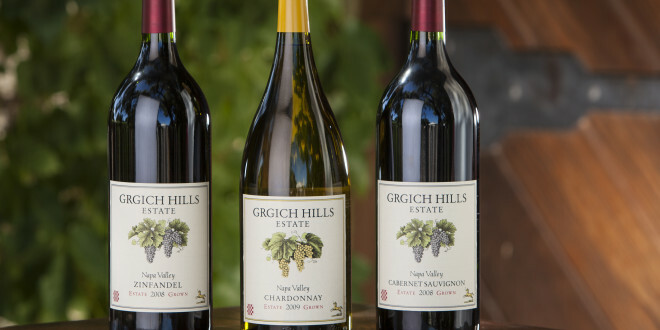 Beginning with the 2003 vintage, all Grgich Hills wines were labeled “Estate Grown.” This guarantees a consistently superior level of quality and it means that Grgich Hills will always remain a shining symbol of prestige and good taste. In recognition of that important milestone, the winery changed its name in 2007 to Grgich Hills Estate.